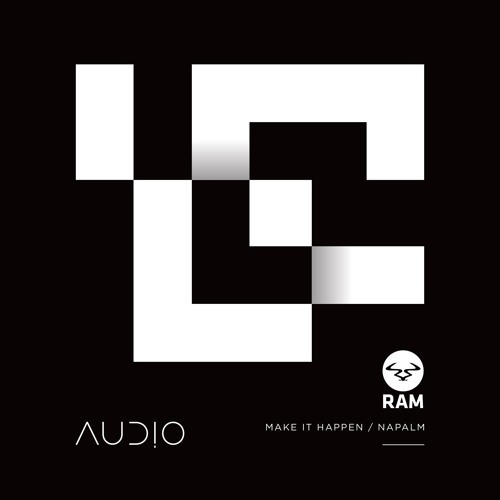 RAM team bruiser Audio is back with another ridiculously heavy hitting single for Andy C’s label and as you’d expect he’s taking absolutely no prisoners. Our pick of the pair is Napalm, bringing together a disgracefully scuzzy bassline with the superbly crisp and detailed drum work that has characterised most of Audio’s recent work so perfectly. Dangerous vibes; this one’s out now on vinyl and digital from all the usual stores. Rising Australian neurofunk star Lockjaw presents the latest in the relentless Vandal Records release schedule with two characteristically punchy slices of technical yet musical D&B. Gatekeeper is definitely the more dancefloor friendly track but the deeper vibes of Becoming caught us by surprise in a most pleasant fashion. Check these out below and grab them from your favourite digital store now. If smooth liquid is more your thing then this should float your boat; regular collaborators Soul:Motion & Colossus are back at it with two fresh new tracks for Belgian imprint Limitless Recordings. Crisp rolling drums, piano and soft synths; predictable elements, but beautifully arranged and full of feeling. These are out now at all good digital stores. Completing our hattrick of neurofunk for this roundup, Instinkt (that’s German duo Rune & Kaiza, for anyone not paying attention) serve up four typically pounding new beats for London label Lifestyle Recordings. It’s all about Levitate and Nebula for us on this one. Hit up Beatport to cop the tracks now. Crisp drums, cheeky samples (from The Shining, among others) deep basslines and an utter disregard for the dancefloor make for a fantastic listen as Meloki explores the increasingly large side of the D&B sound which eschews the club in favour of more esoteric ideas. Check out the clips below and look for these at digital stores from Nov 30th. Crisp subby rollers are the order of the day on the latest from Inform Records as Modu treads the line between liquid and tech with thoroughly enjoyable results. Chuny stuff; out now at all good digital stores. Dojo favourites Bay 6 Recordings are back with another tidy new single, this time from Marcus Tee who follows up his appearance on Back To Bay 6 Vol. 1 with two new tracks for the English liquid imprint. This one’s all about the old school tinge and utterly funky breaks of lead track Rush Hour. Last but not least we’ve got two new beats from newcomer Sponse on the LTD arm (again with that…) of Kaiza’s long running T3K imprint. While B side Sharp Threads proves deep and punchy, it’s all about those fantastic crisp breaks on lead track HSKT; check that out below and grab this right now from your favourite digital store.